Of all the throwing events, the javelin exerts the most stress on the body. UK National throws Coach Robert Weir will show you the specific drills and exercises to minimize stress on joints. Coach Weir starts out with some basic warm-up drills to get a feel for the javelin and loosen up the arm. He details three different grips used in the javelin throw. Using both a male and female athlete as demonstrators, Weir progresses through a series of run through drills while holding the javelin. 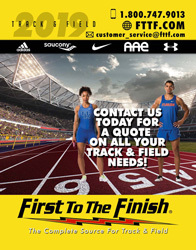 This will give your athletes a rhythm and a feel for the javelin while running. Several other drills are introduced that work on full running to throwing transition. Agility drills and medicine ball drills used to develop the stretch reflex conclude this comprehensive instructional DVD. 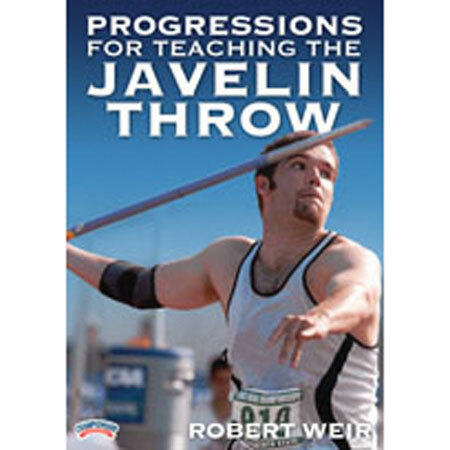 These drills work on breaking the javelin throw down to its basic components and putting the throw back together to improve stretch reflex, footwork, running speed and transition to release to optimize your throw.